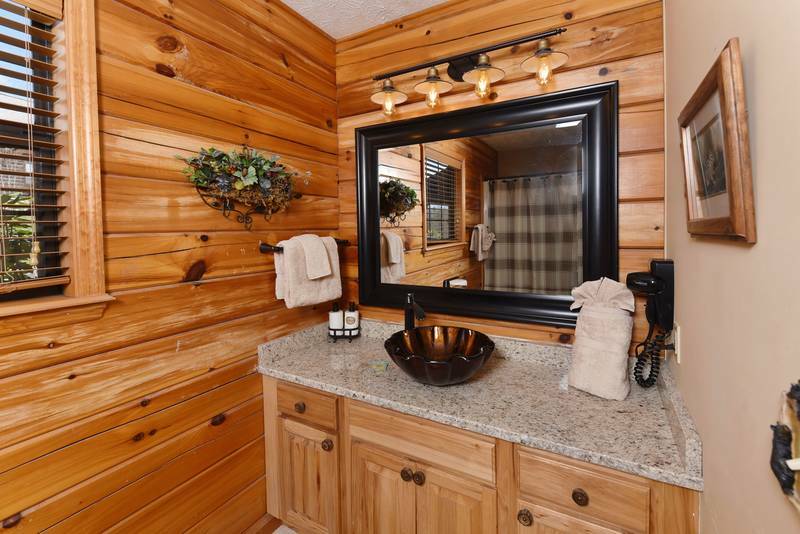 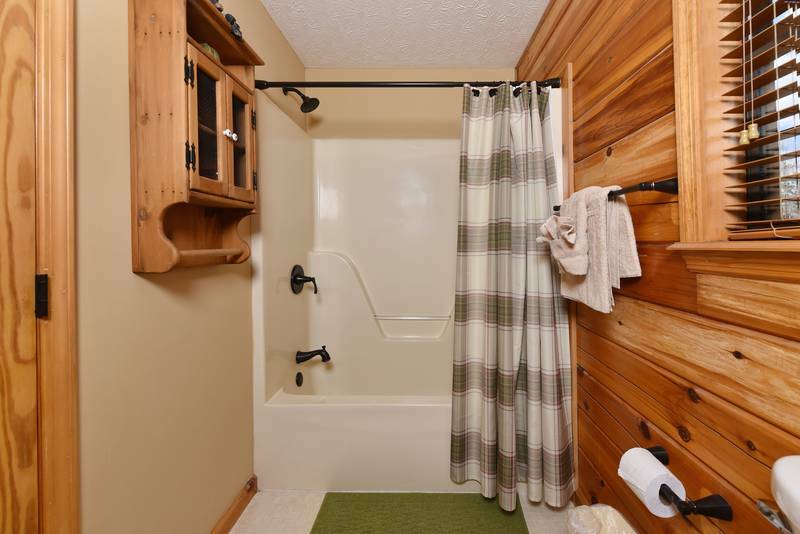 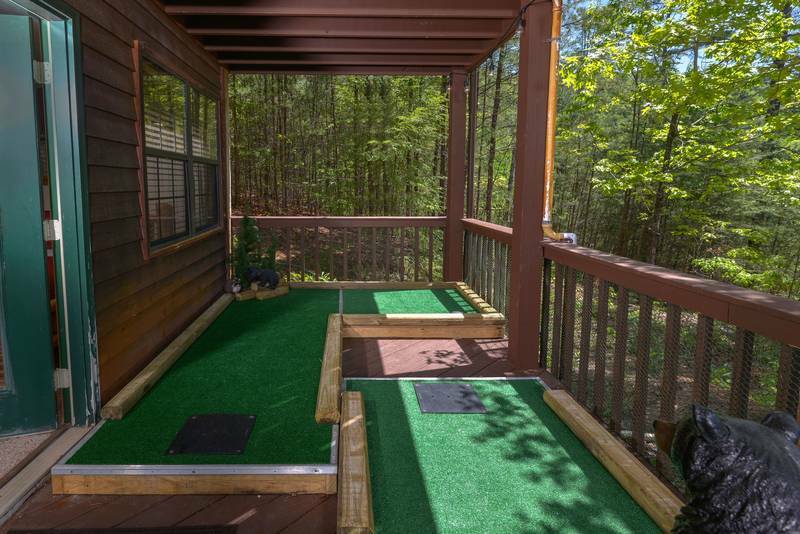 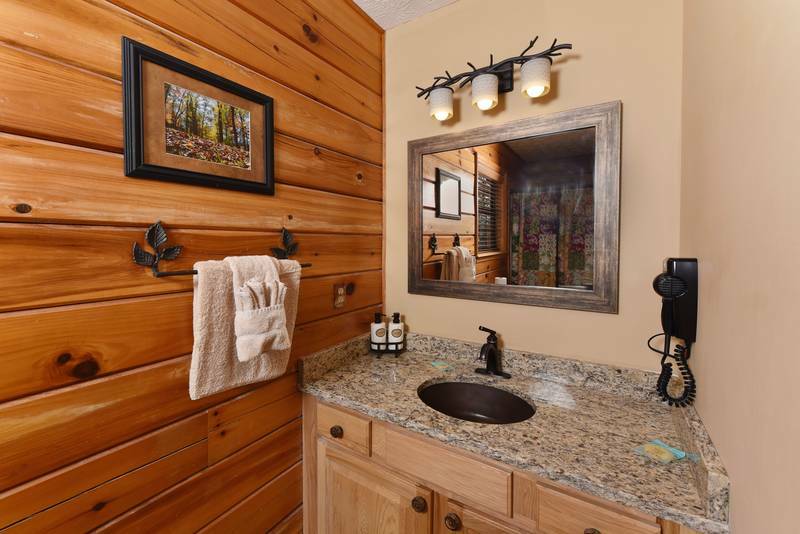 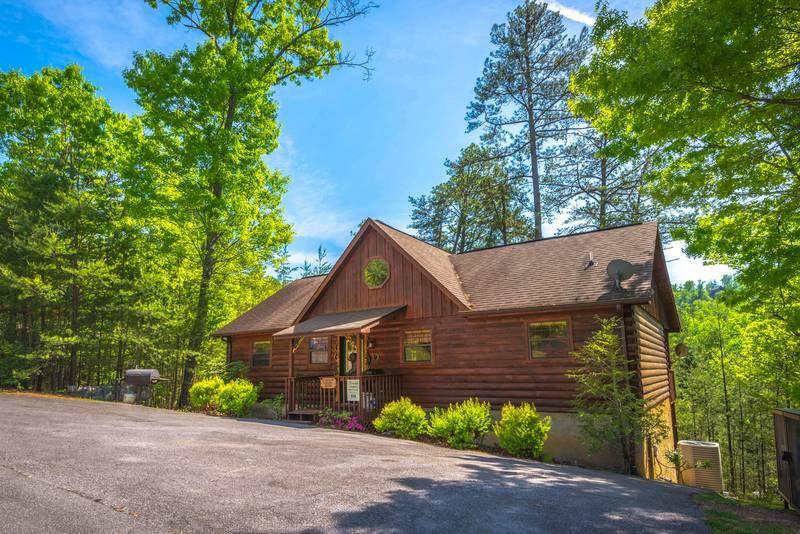 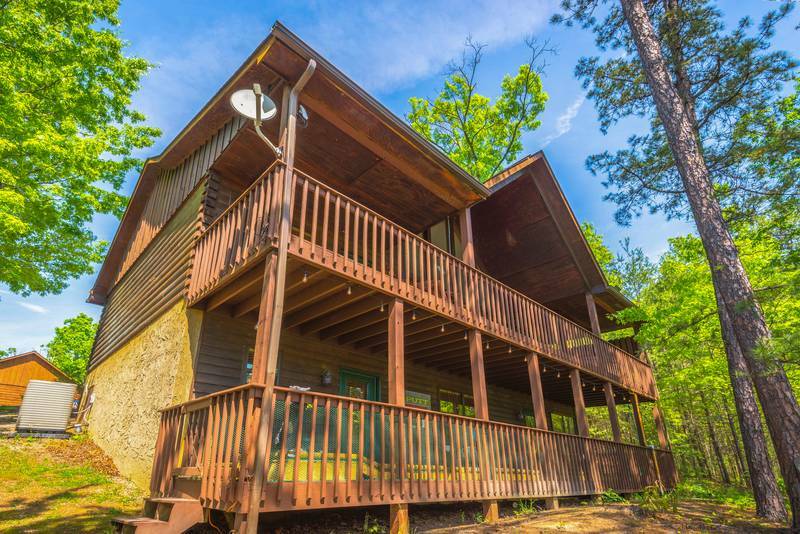 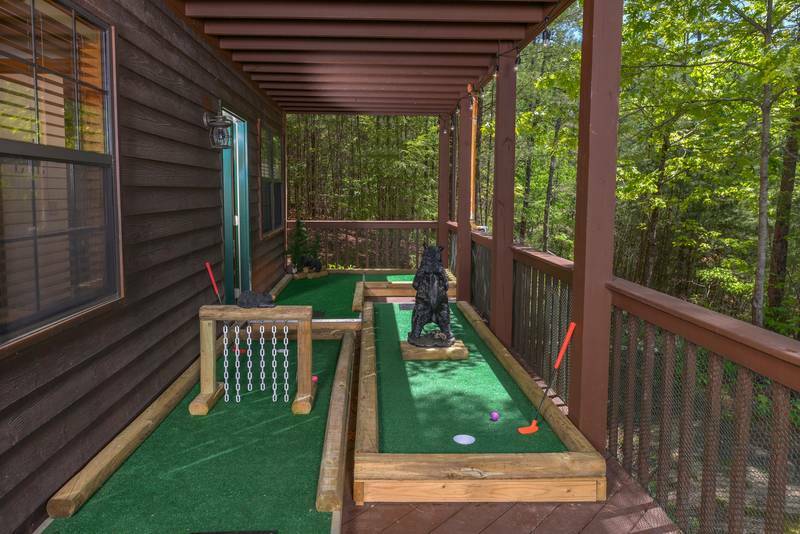 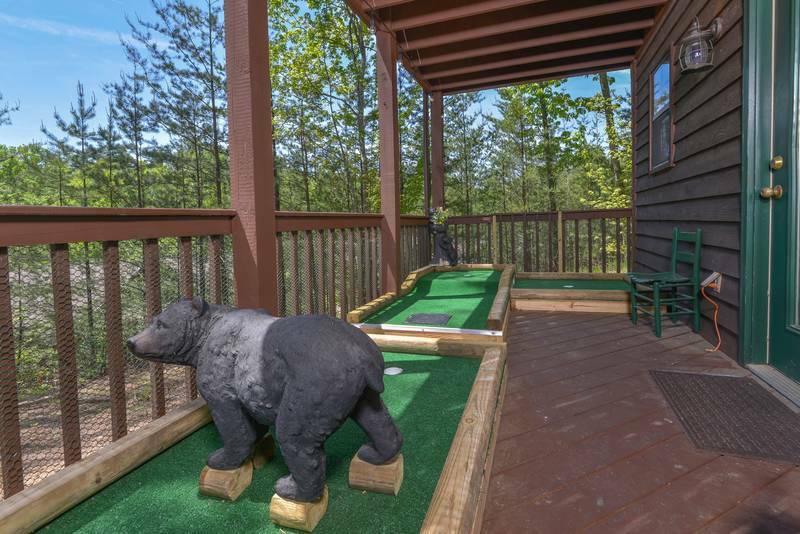 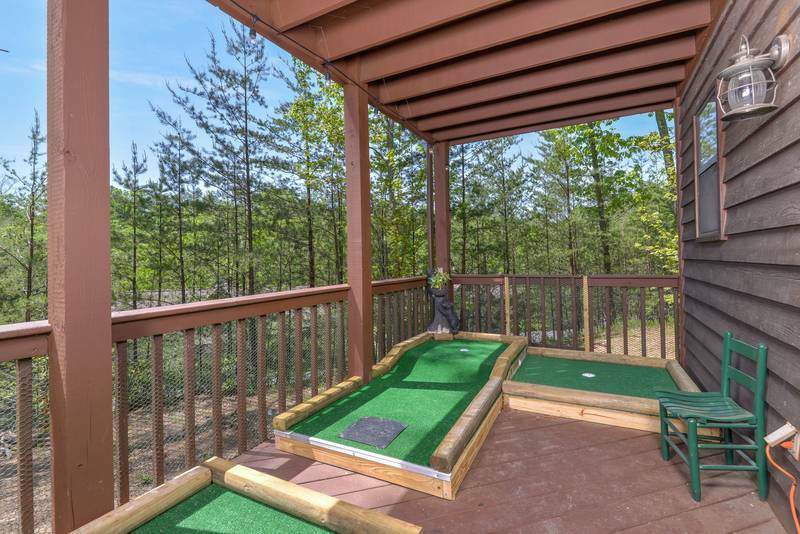 Pigeon Forge Cabin Rental - A Beary Good Time, Unit 514, is a 3-bedroom, 3-bath log cabin that is located by Dollywood and Dolly’s Splash Country, and only 3 miles from the Parkway in Pigeon Forge. 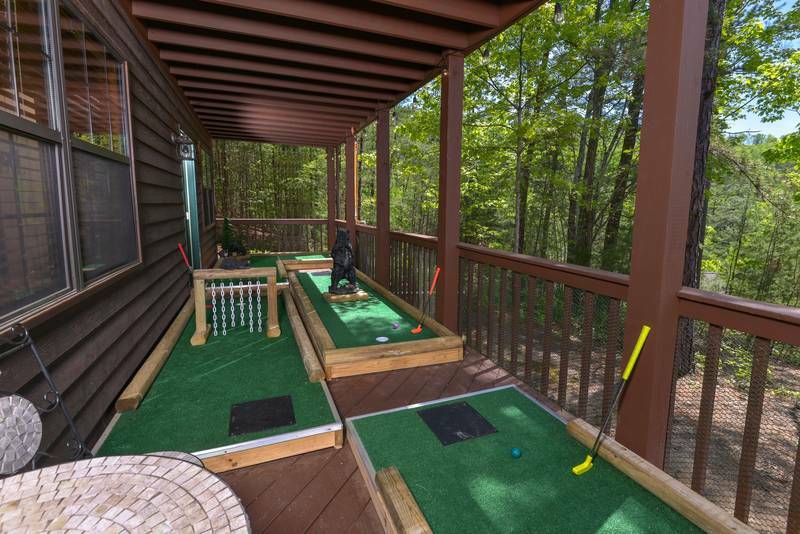 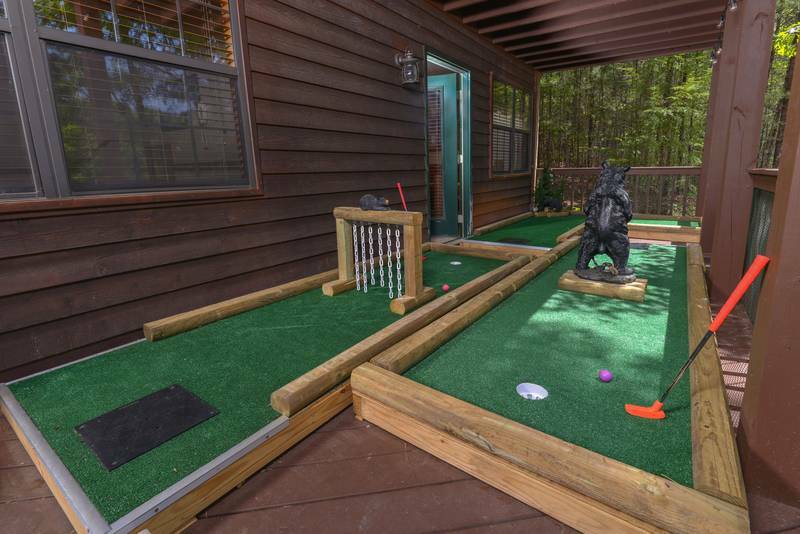 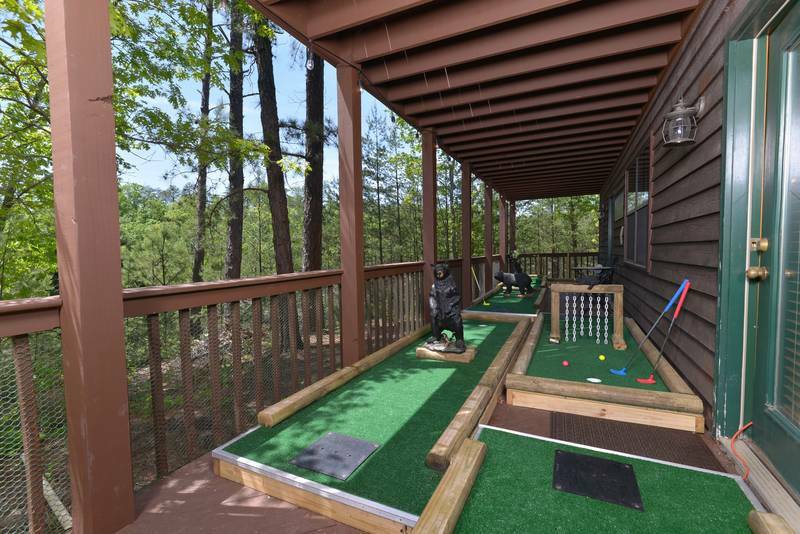 Not many cabins have their own mini Putt-Putt. 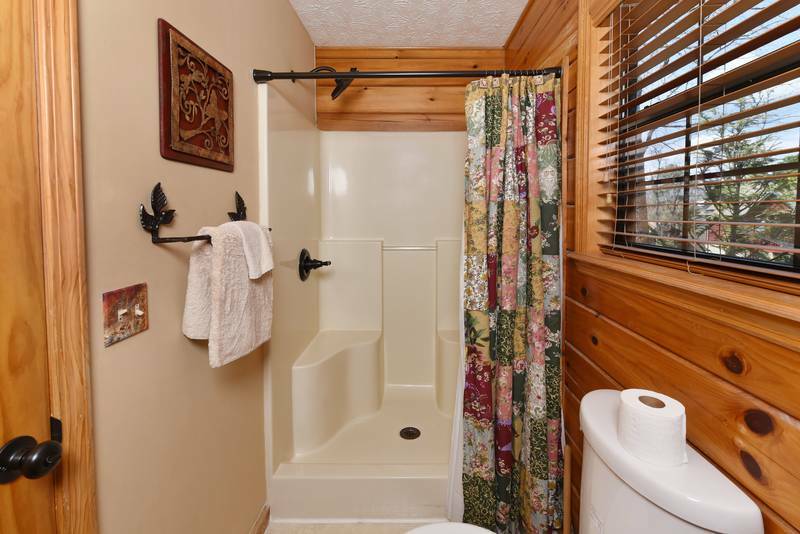 But this one does! 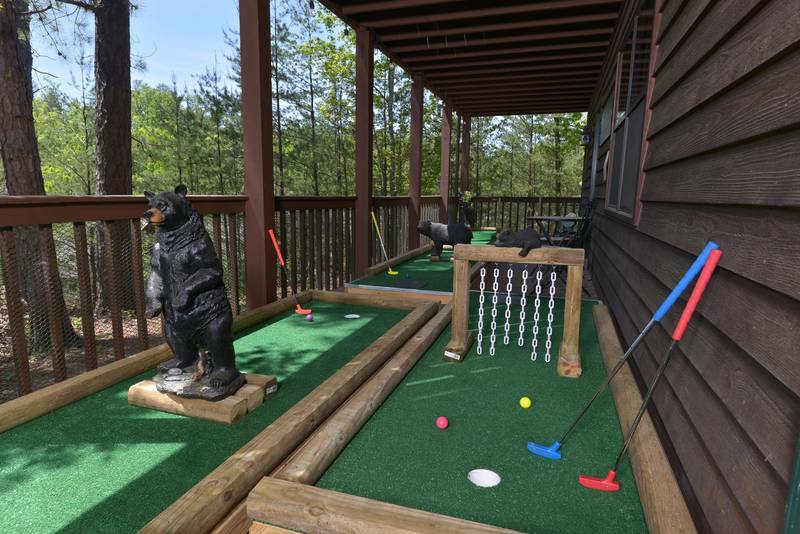 The kids will love our five challenging courses. 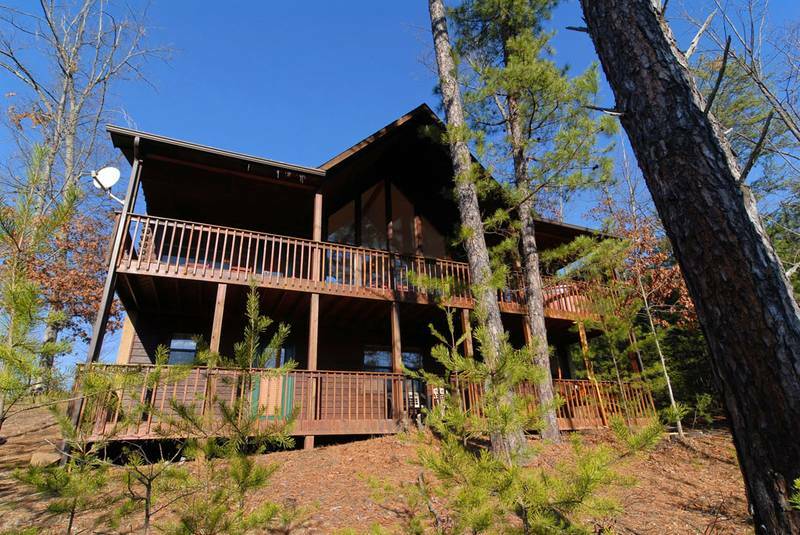 Free Wi-Fi available at the cabin. 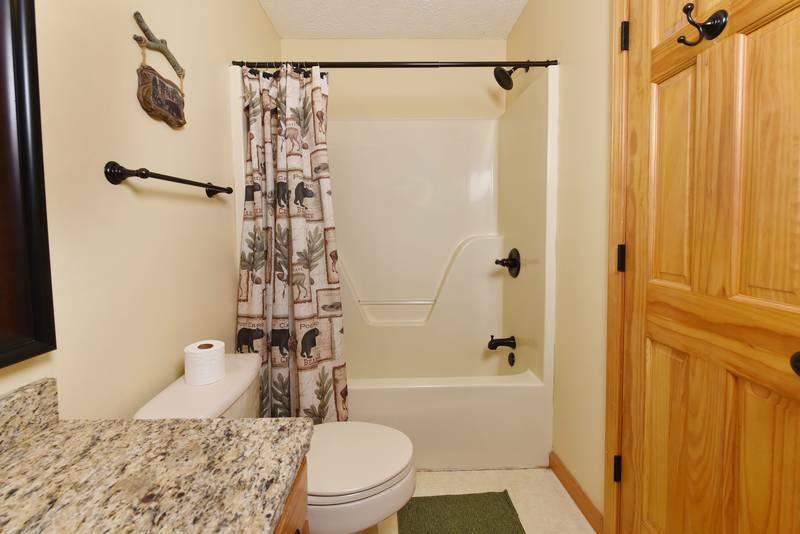 There is only one step at the entrance to the cabin for easy accessibility. 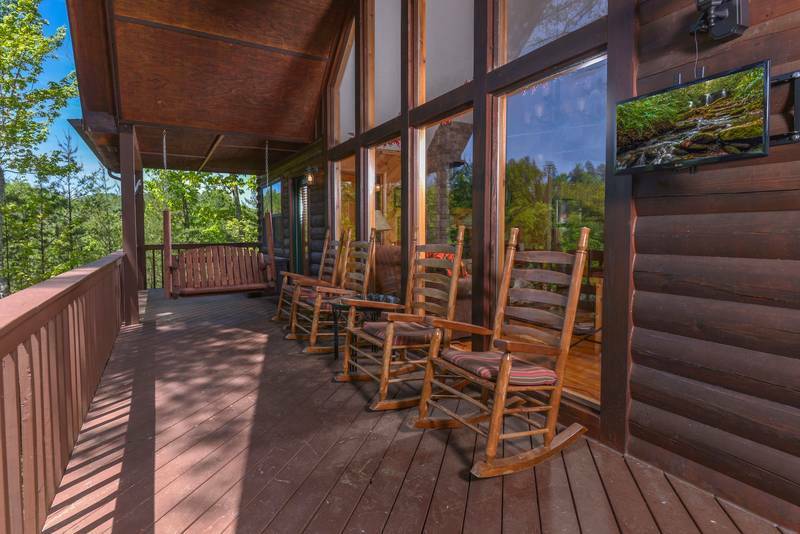 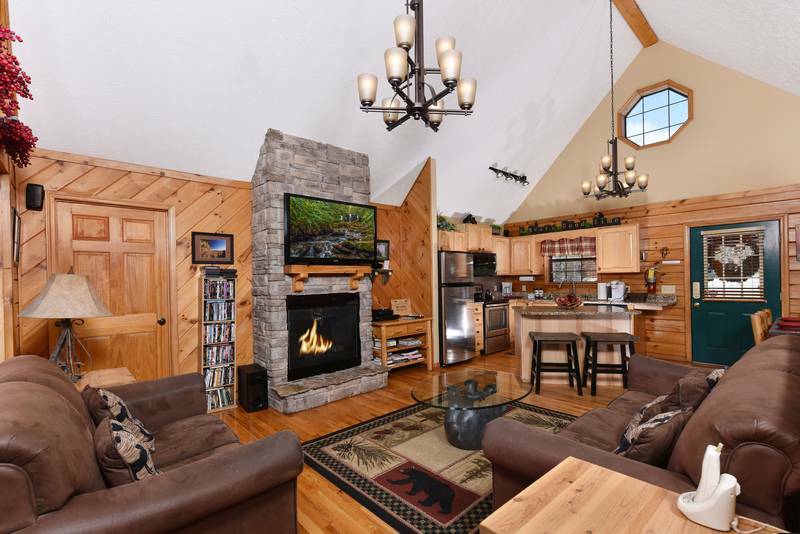 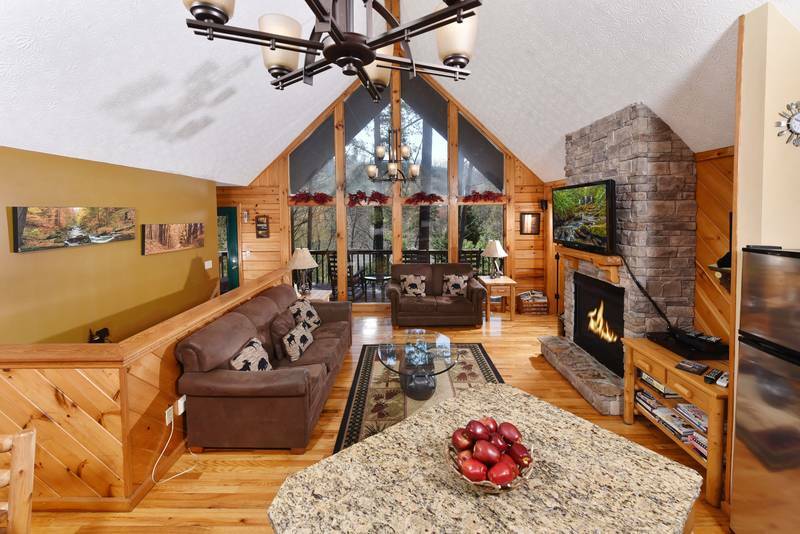 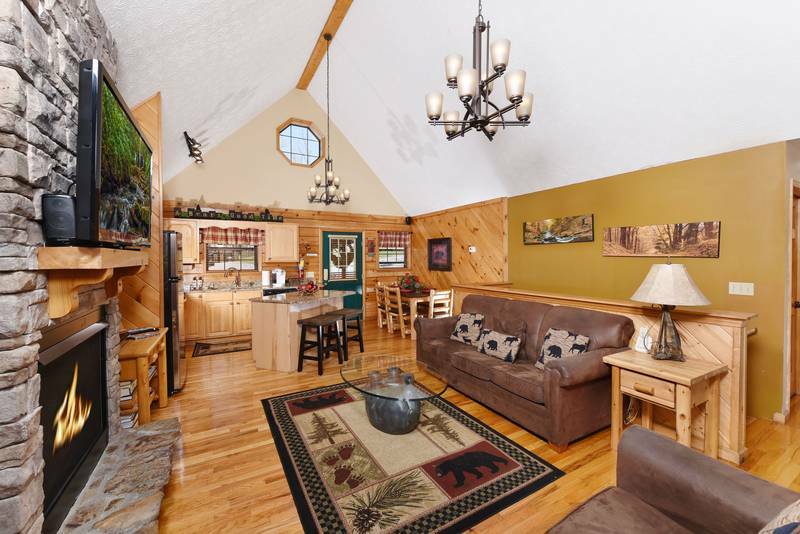 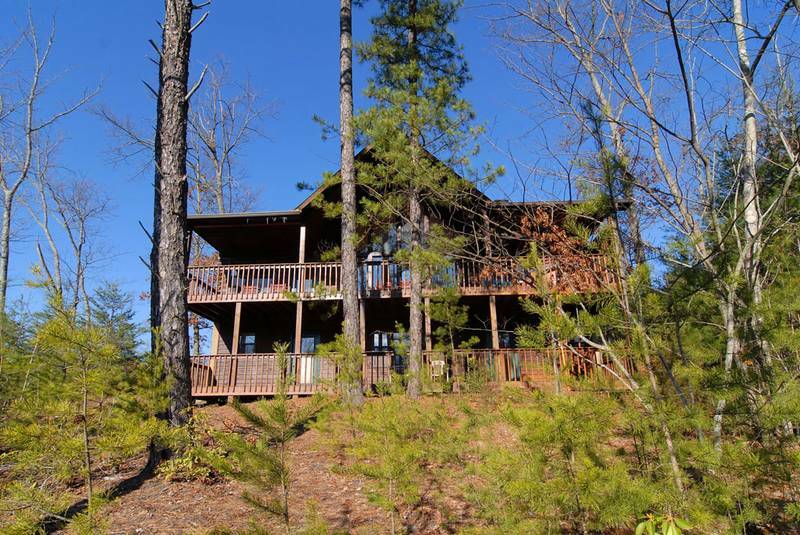 This beautiful updated cabin features a gas log fireplace on the main level living room area. 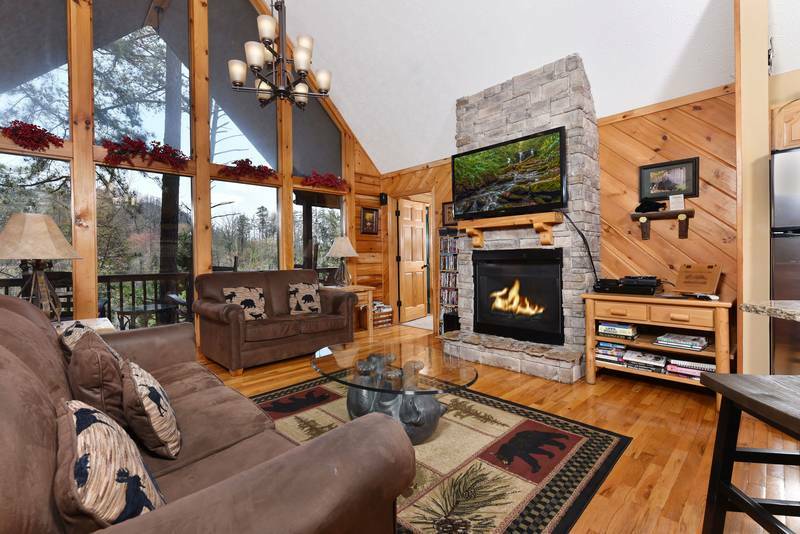 The living room has a queen size sofa sleeper and gas fireplace. 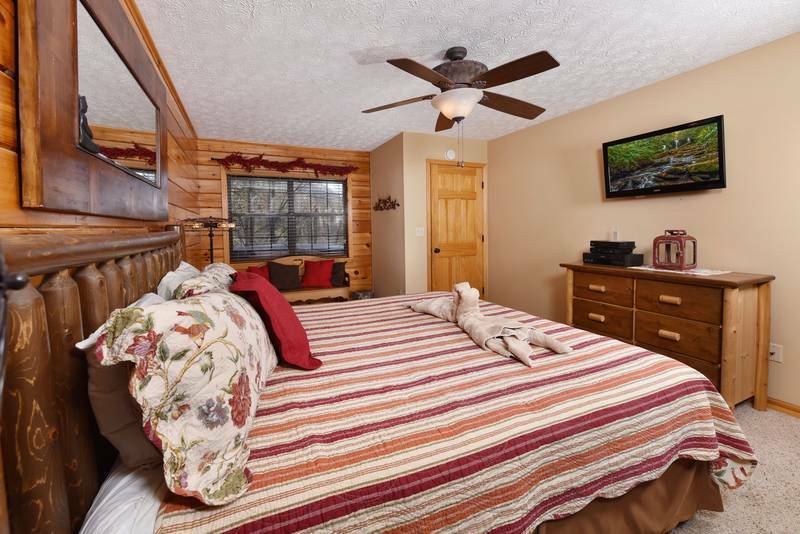 There are two bedrooms off of the main level which have flat screen TV’s, DVD players, premium new king beds, and separate full baths. 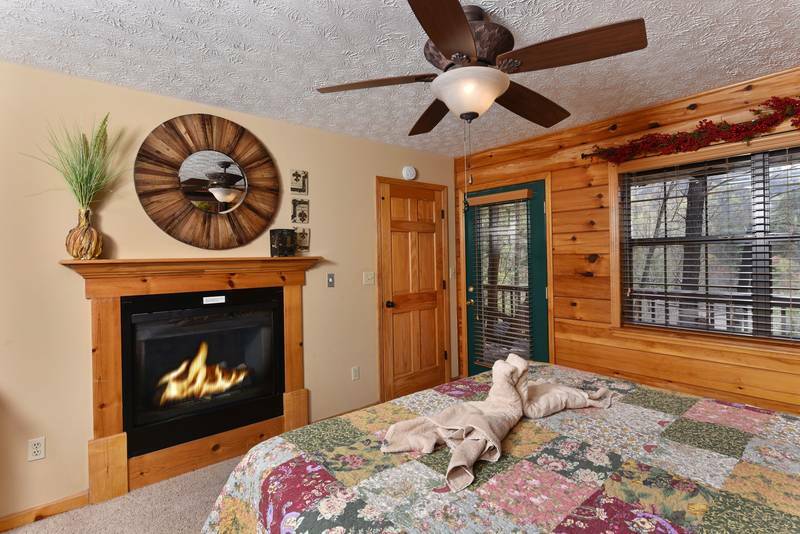 One of the bedrooms has a Jacuzzi tub and fireplace. 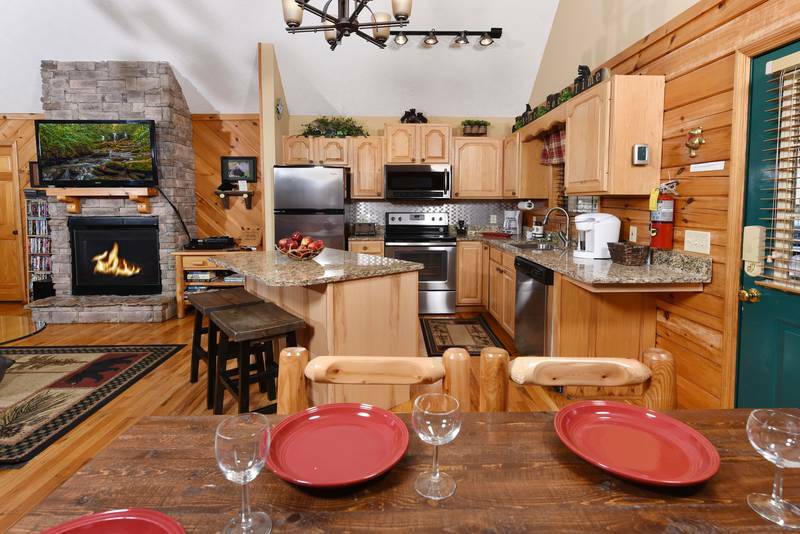 The kitchen is fully equipped with granite countertops, stainless appliances including dishwasher, microwave, coffee maker, Keruig, toaster, iron, and ironing board. 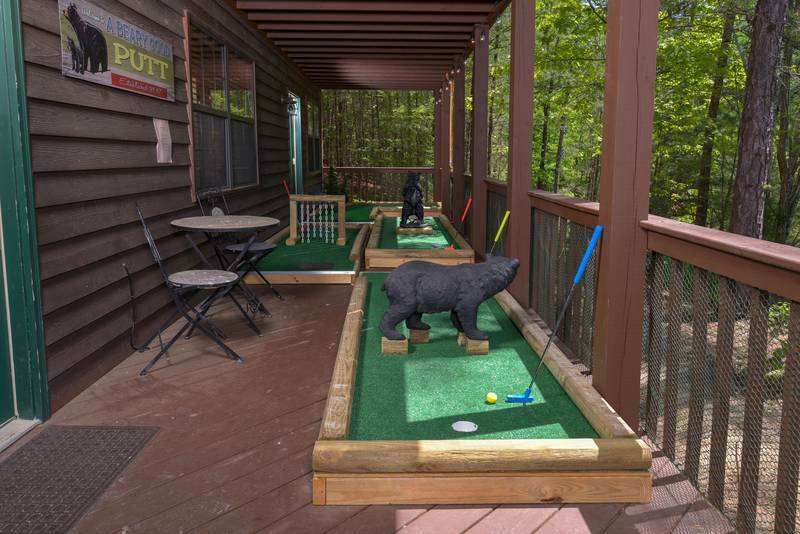 Also a washer/dryer and charcoal and gas grills are at A Beary Good Time. 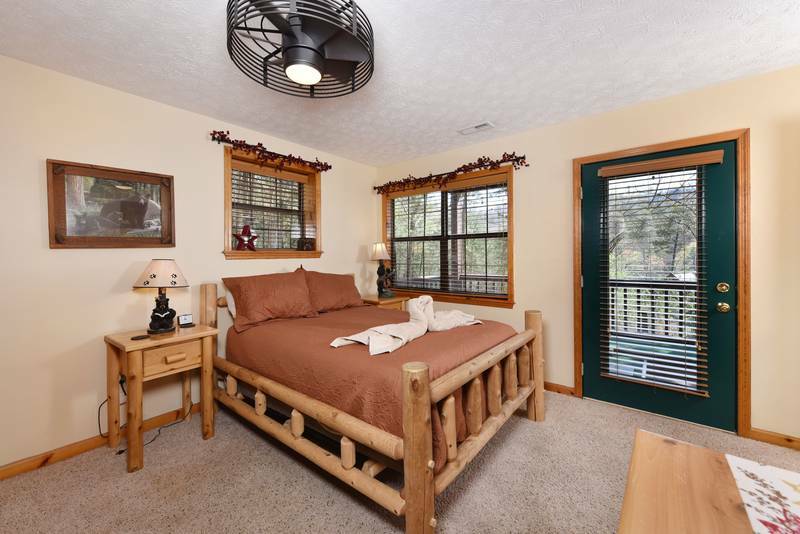 True to make your vacation as comfortable as possible. 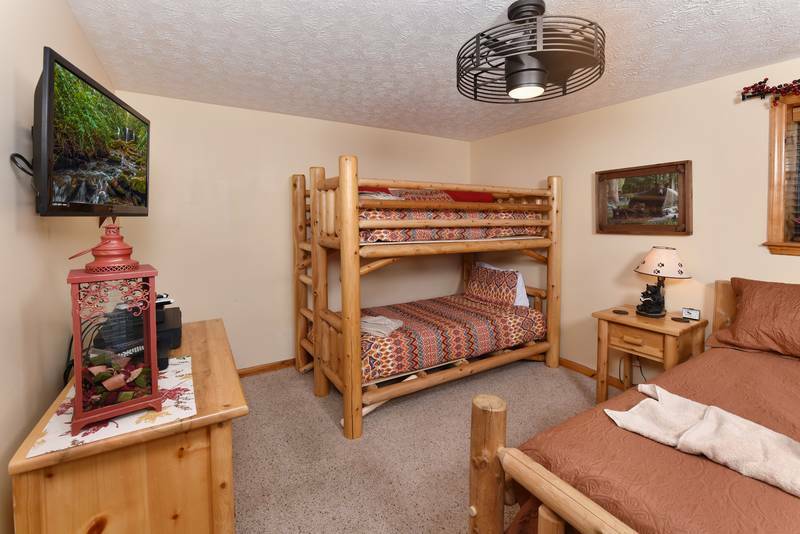 The downstairs bedroom also has premium new mattresses - one full bed and twin bunk beds. 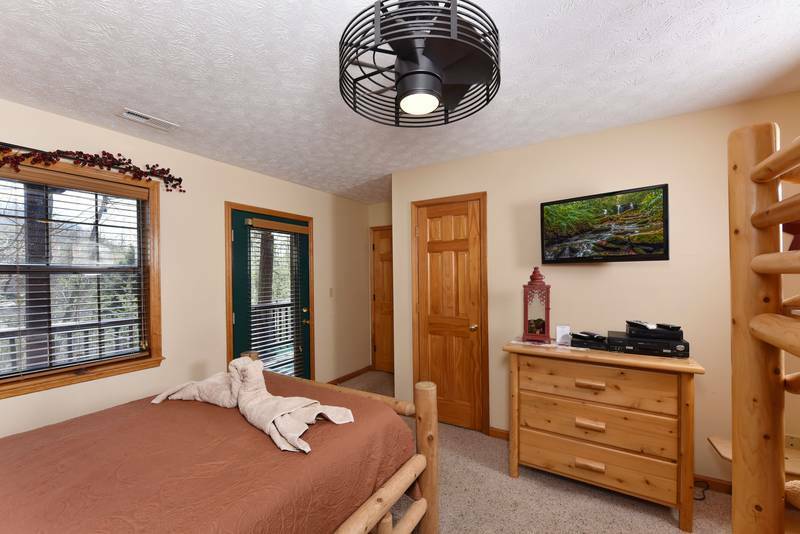 Flat screen TV with cable and Blue Ray DVD player are in this room. 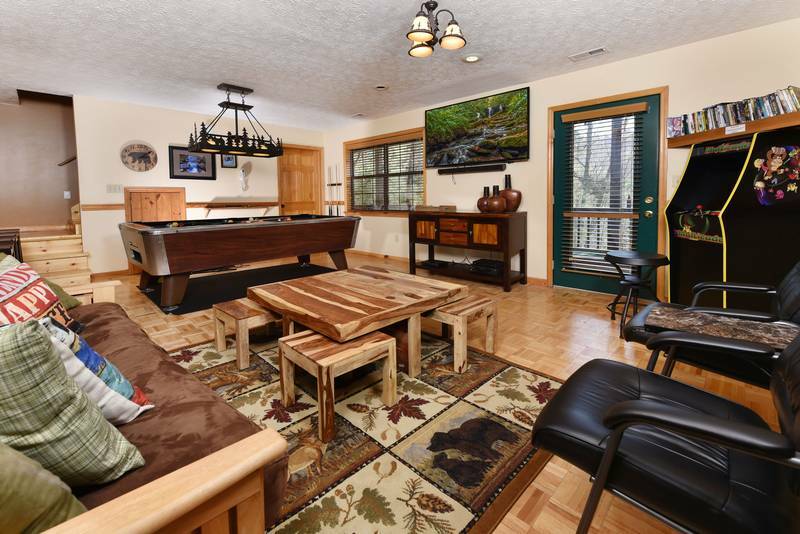 Downstairs the media room has a theater system style 65-inch TV with surround sound, cable, and Blue Ray DVD player. 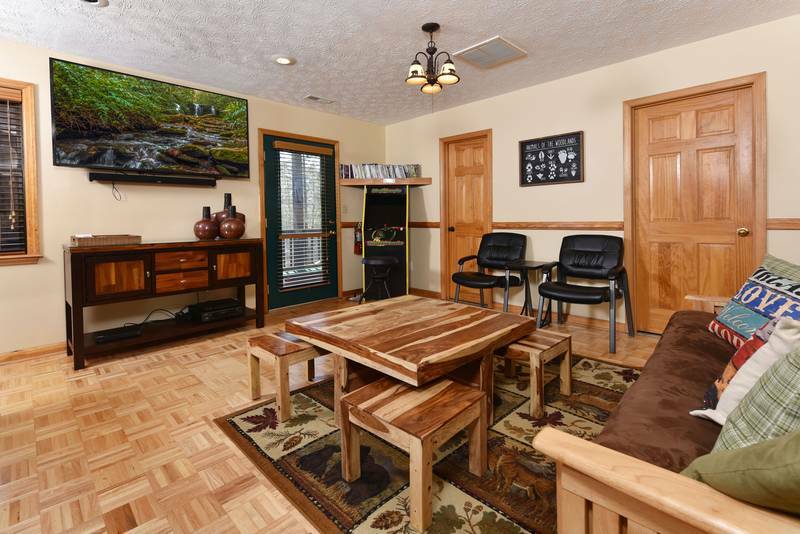 Bring your DVD's from home to enjoy a theater night with the family. 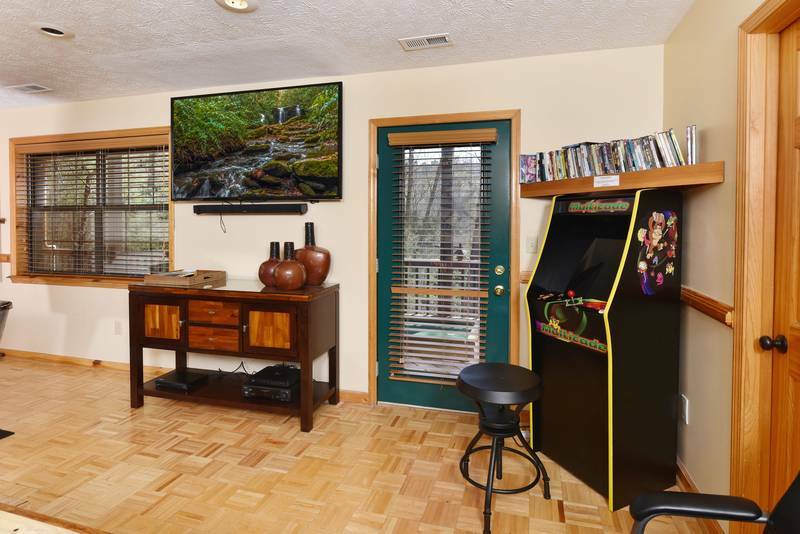 Also a pool table and stand up 60-1 game arcade including: Ms. Pac Man, Galaga, Frogger, and Donkey Kong. 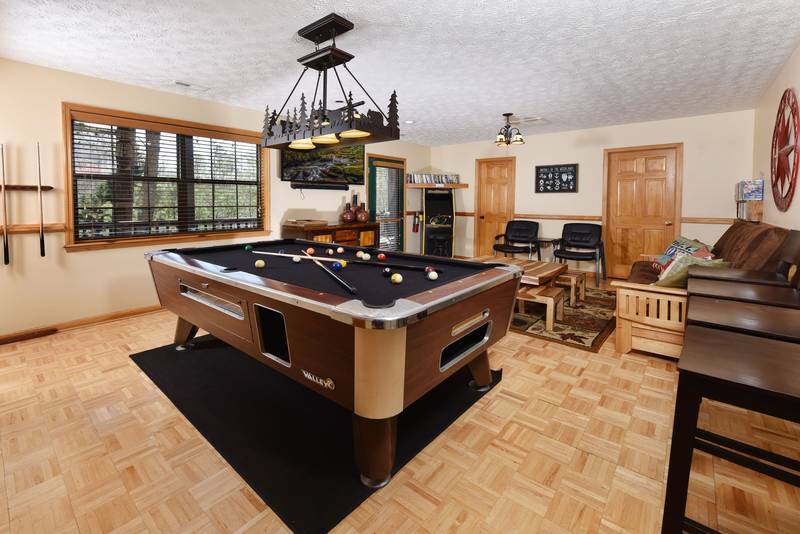 There are plenty of board games and toys too. 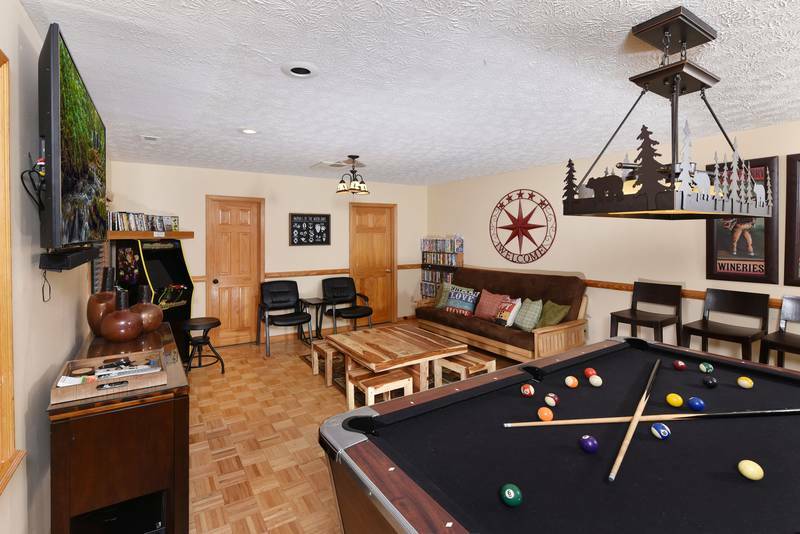 The game room has a full size futon for those extra guests. 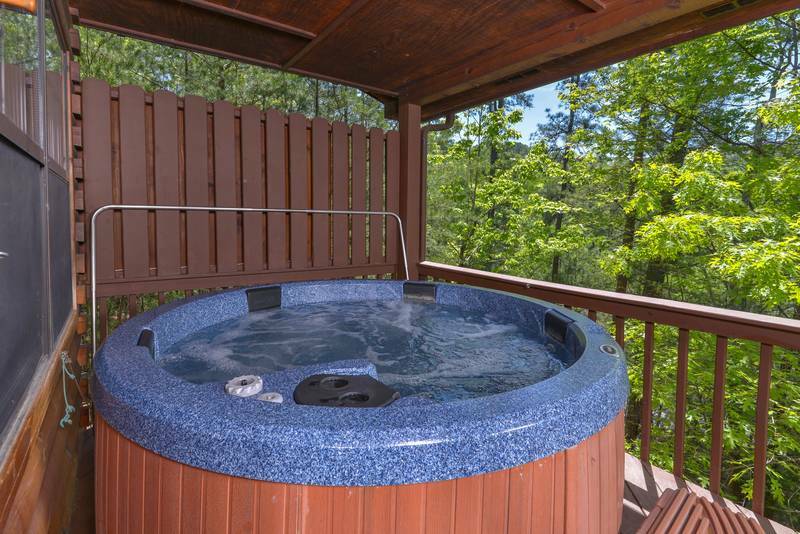 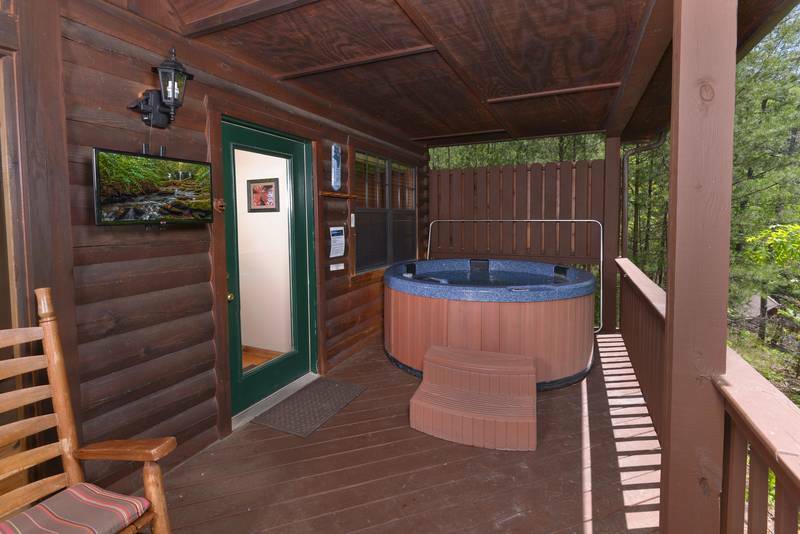 Enjoy the large private hot tub while watching the outdoor TV. 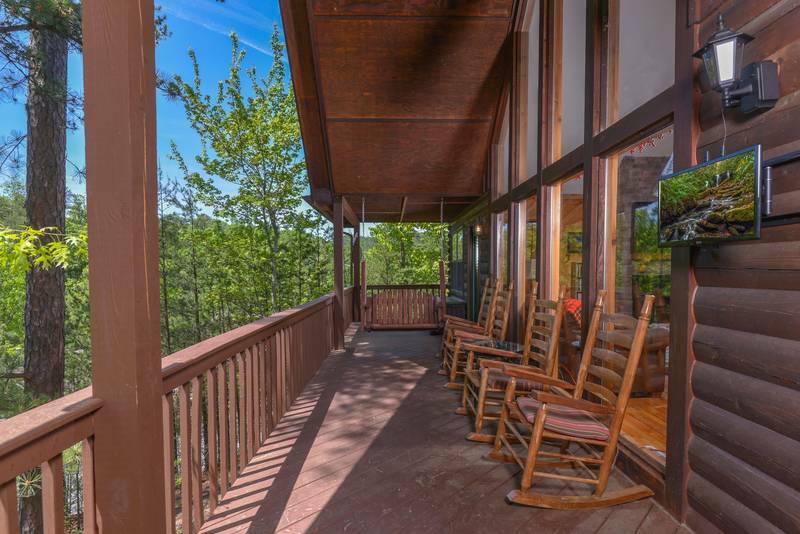 Or have a meal on the covered deck, rock in one of the four rockers or in the swing and enjoy the mountains. 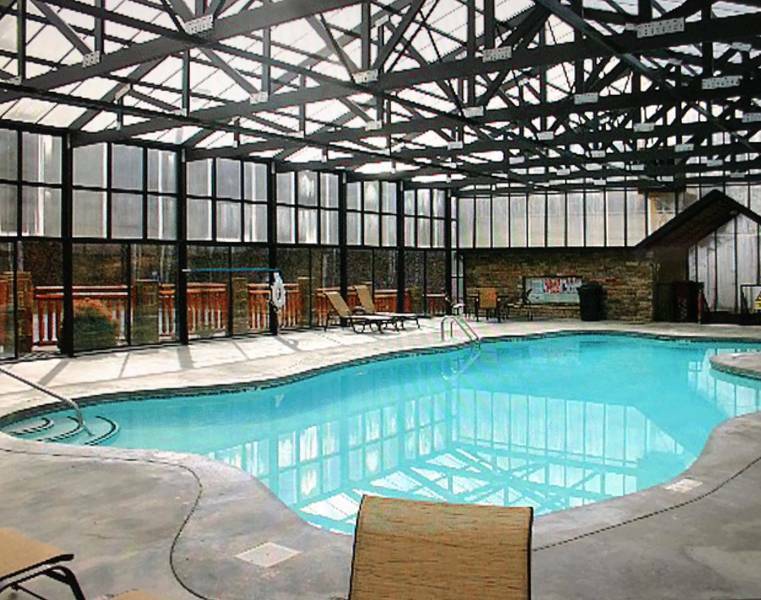 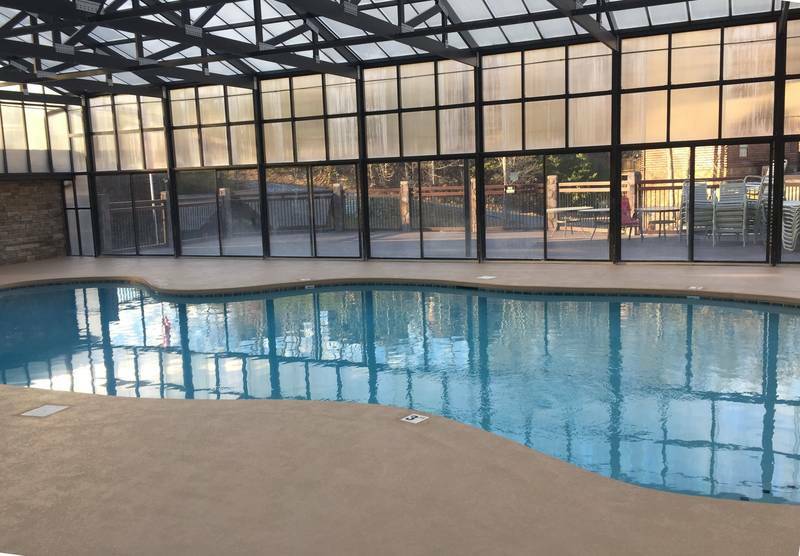 In the resort there is a large year-round heated indoor pool available for your convenience with Wi-Fi connection. 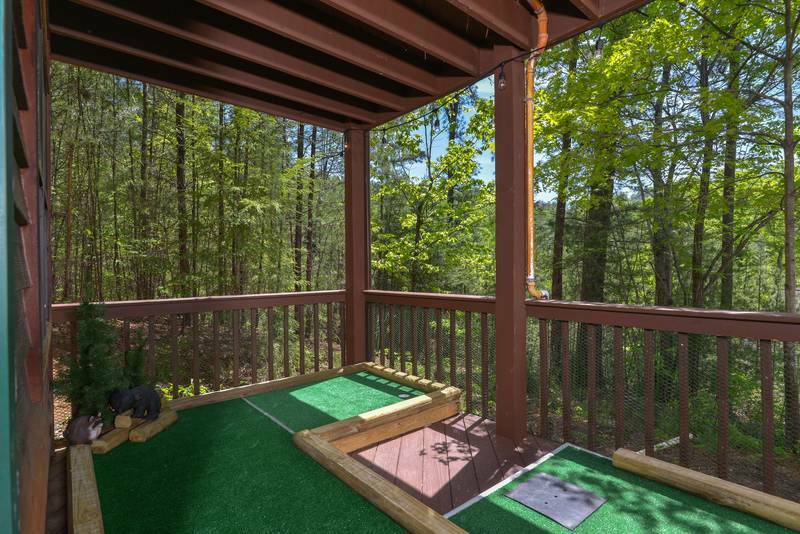 Also a covered picnic area and sundeck. 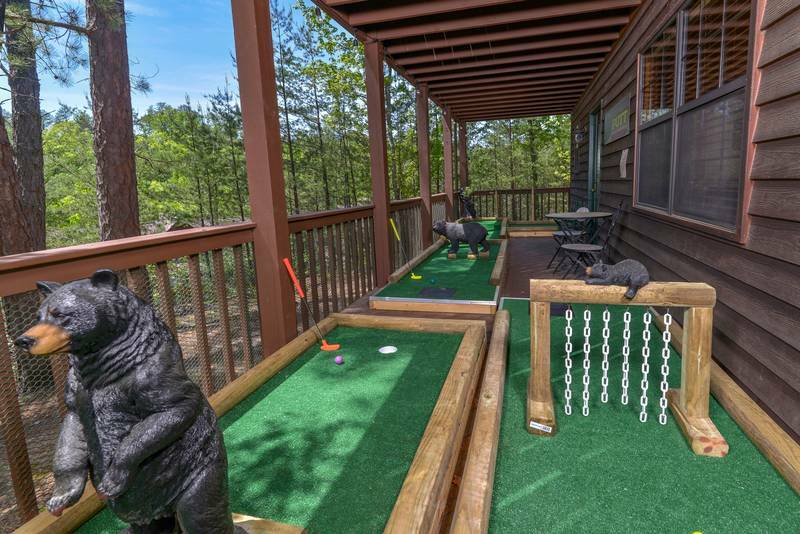 A Beary Good Time is conveniently located near all the attractions. 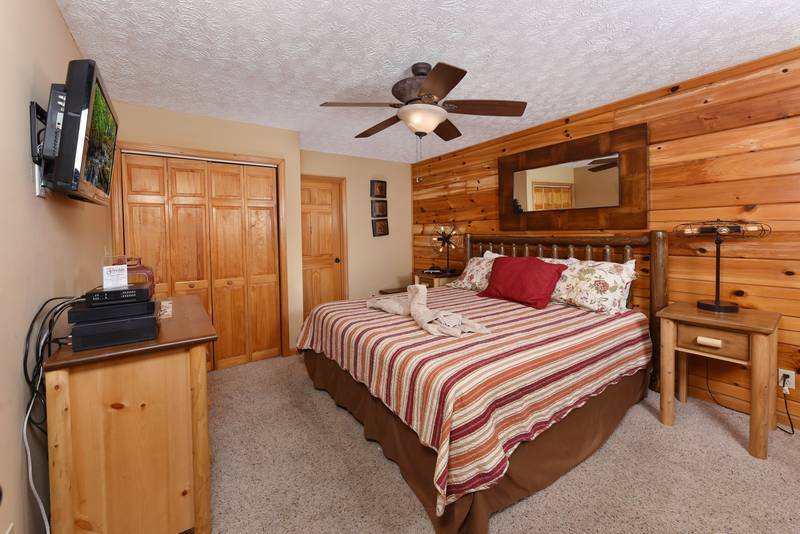 Gatlinburg is close by. 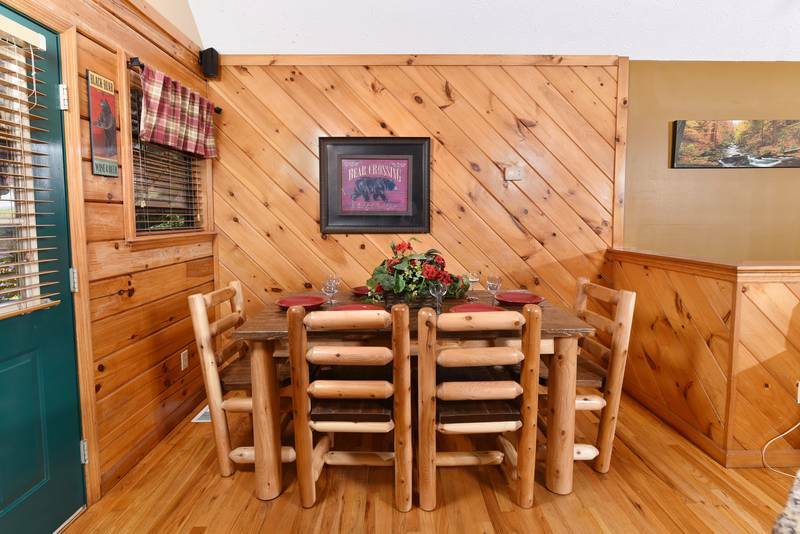 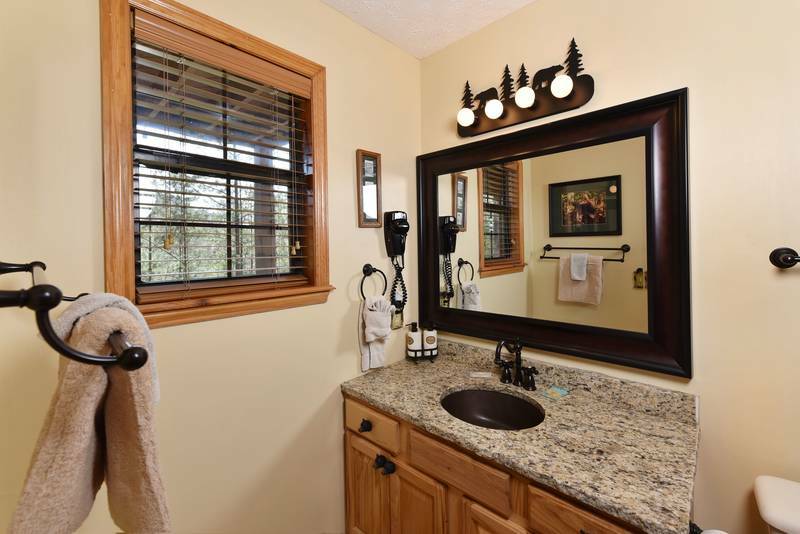 You can also enjoy all the great shopping and attractions in this centrally located cabin. 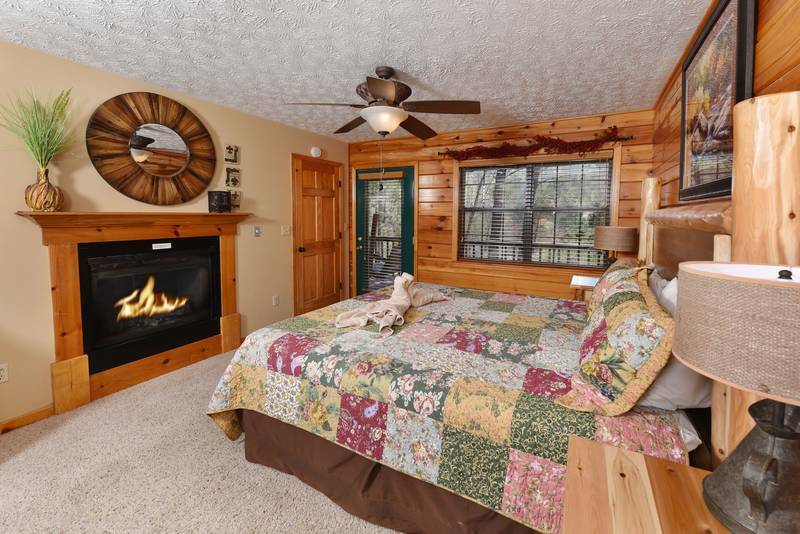 Come and enjoy your Smoky Mountain Getaway in a cabin that has it all. 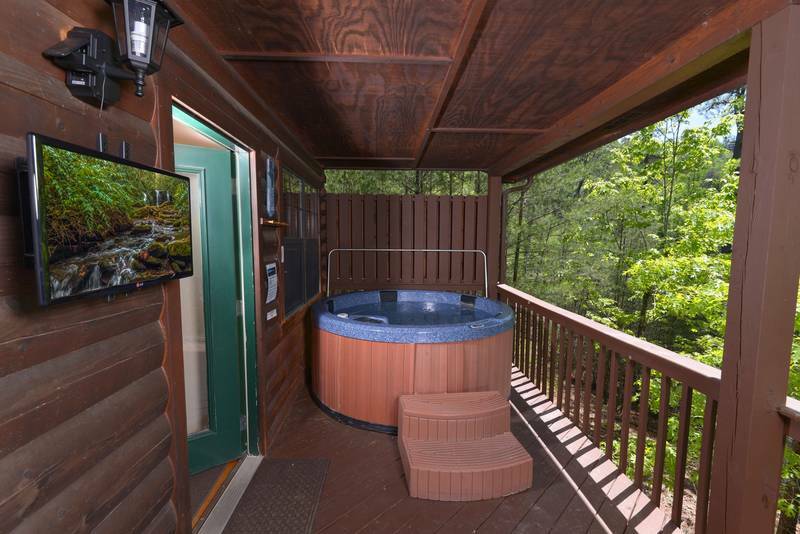 Great for any type of getaway with all the amenities. 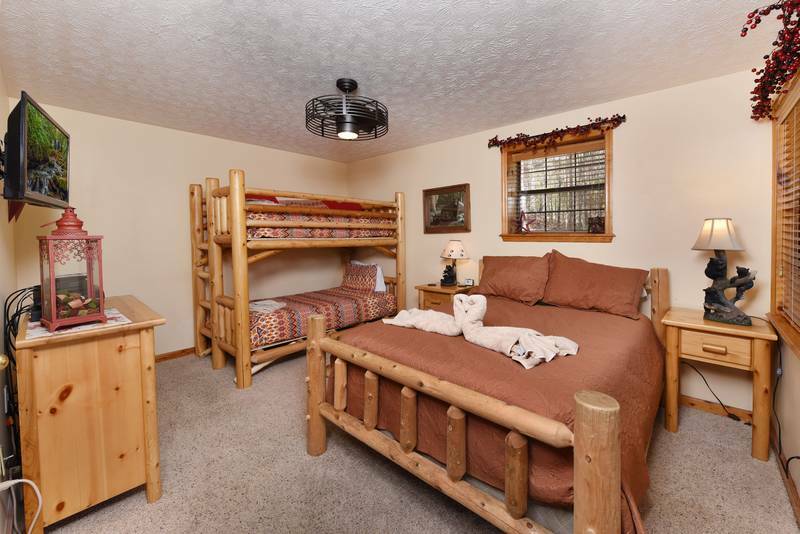 Sleeps 10 people. 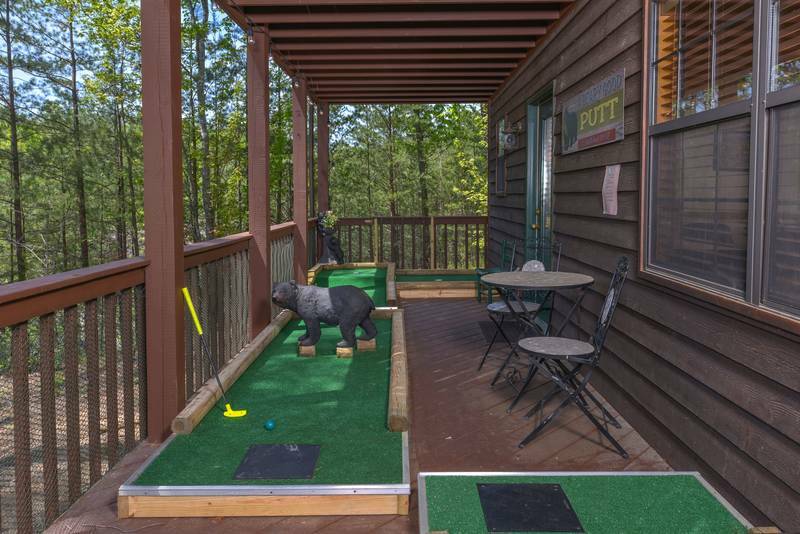 No Pets Please. 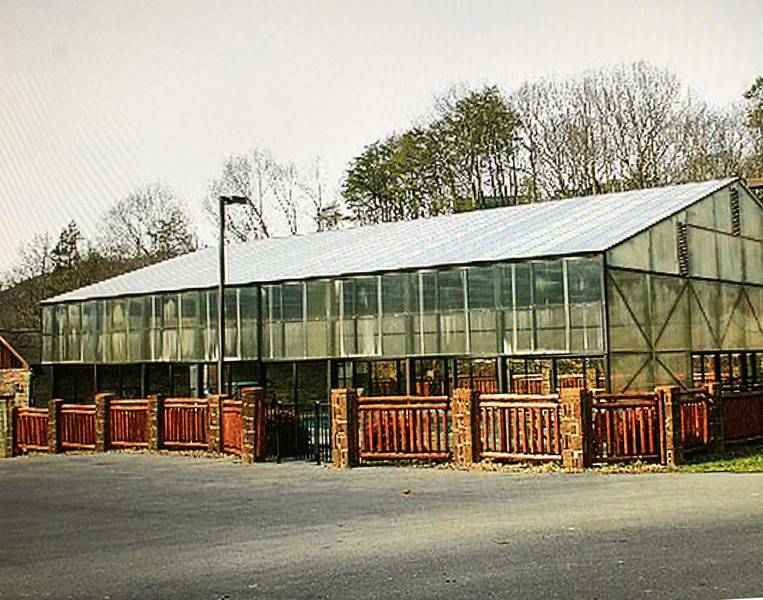 No Smoking Please.